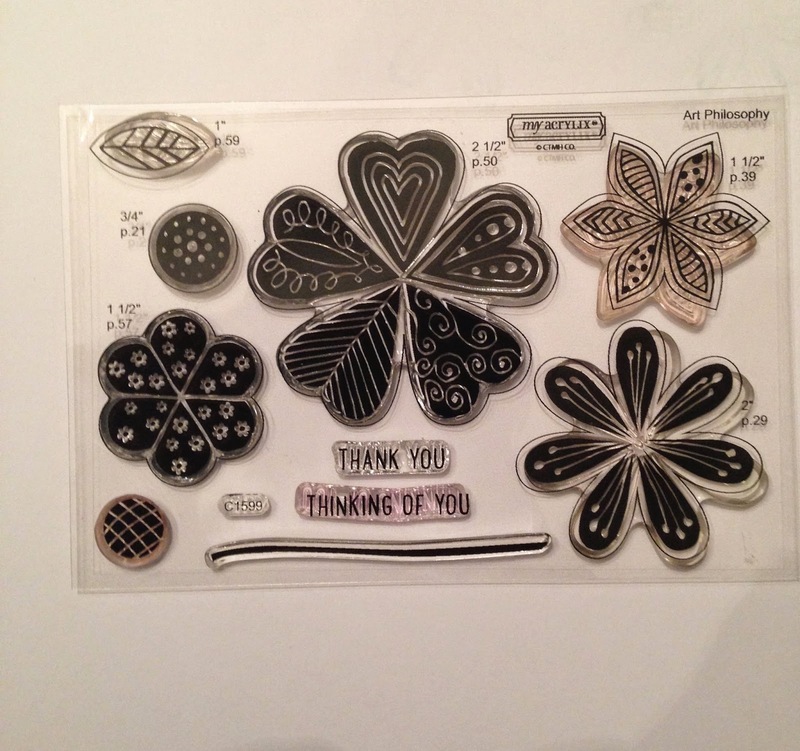 I enjoy watching Dawn Stamping Thoughts videos. 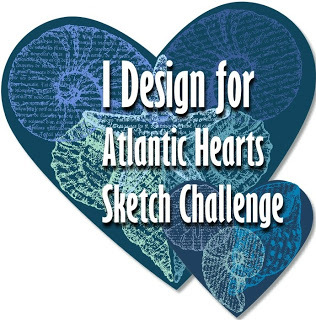 This card is inspired by her card. 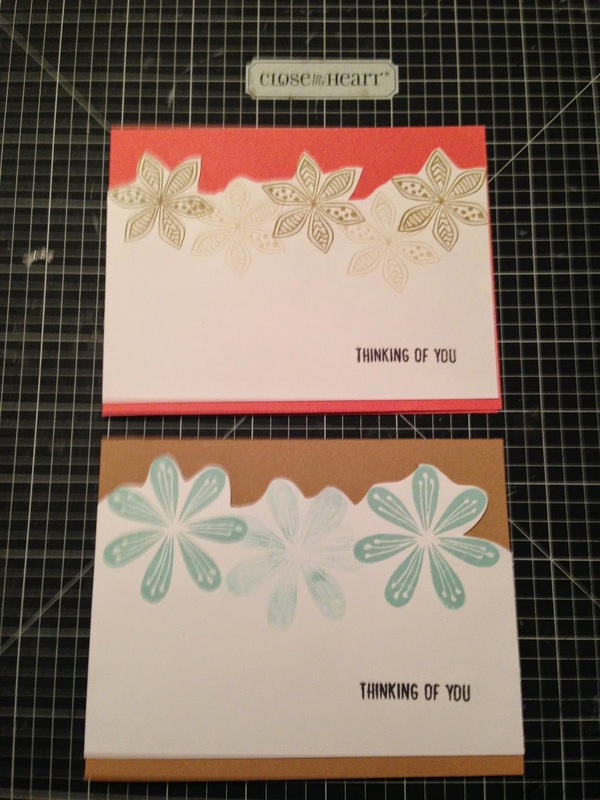 I used the CTMH Pretty Petals stamp set and card stock to put together these cute cards. 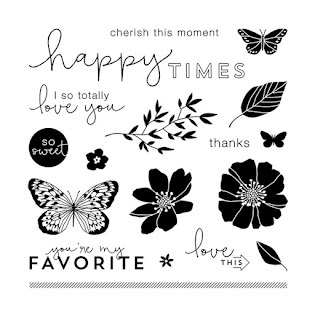 Pretty Petals was the stamp set of choice. I used the two flowers to the right, the center pieces and the "thinking of you" sentiment. 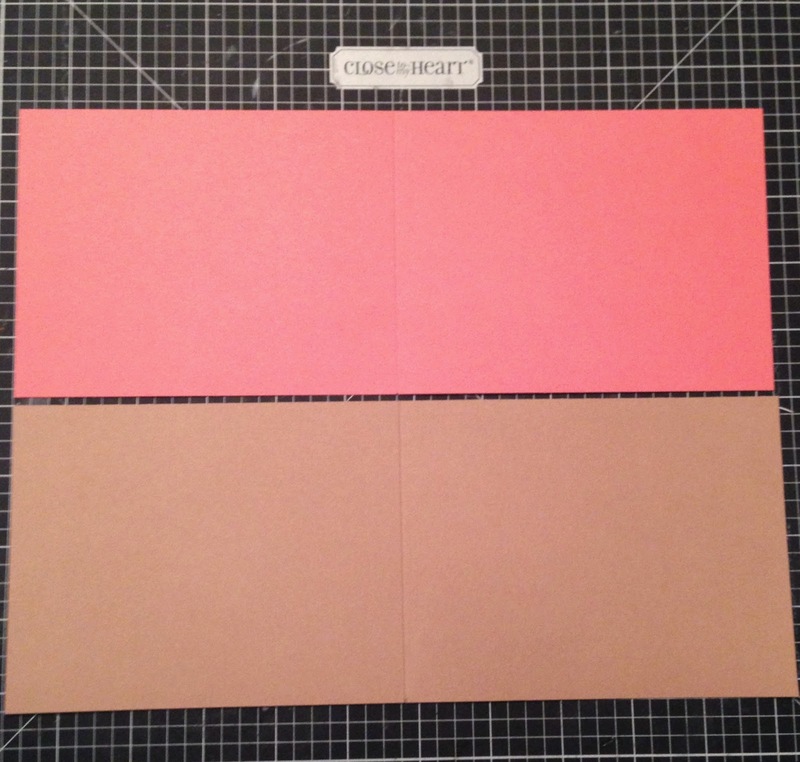 The card stock is Desert Sand and Sorbet. 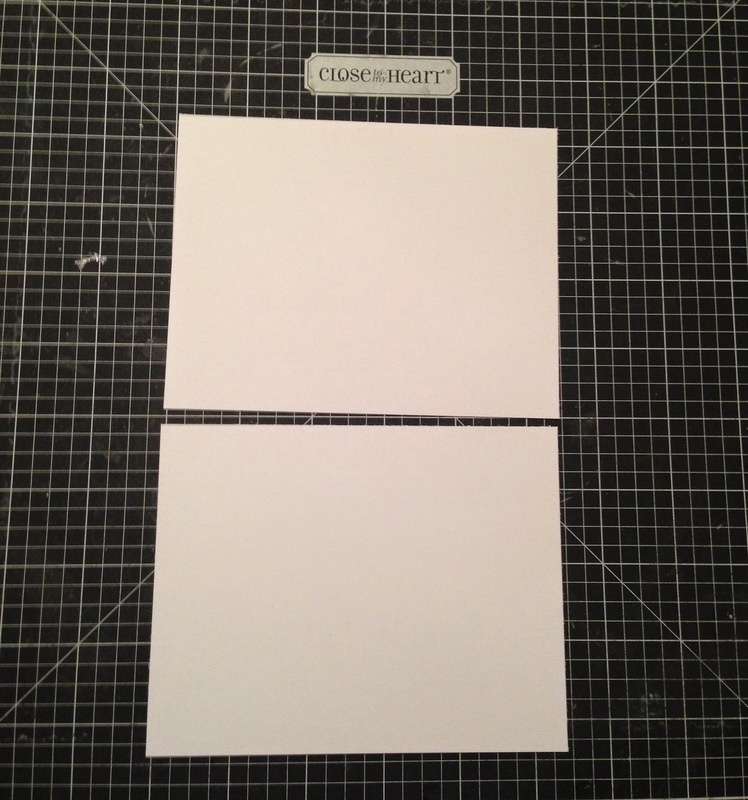 Cut the card stock at 4 1/4 x 11 inches and score at 5 1/2 inches. I cut two pieces of White Daisy card stock at 4 1/4 x 5 1/2 inches. 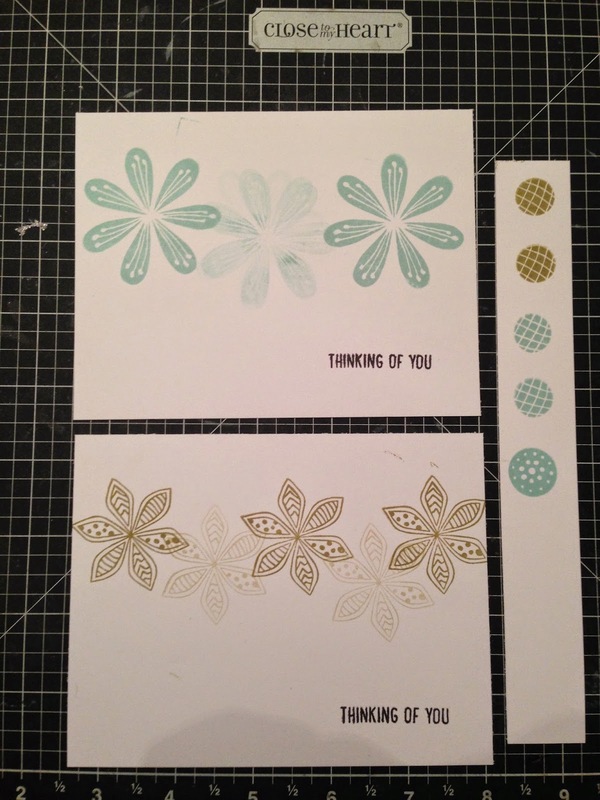 I stamped the flower images and centers in Glacier and Desert Sand ink. The sentiment was stamped in Black ink. I used first and second generation stamping with the flowers. 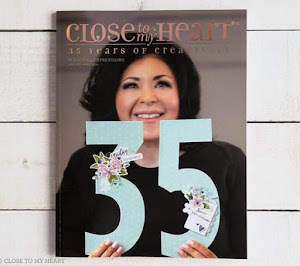 Using your scissors cut around the flower image removing the excess card stock from the top of the image. 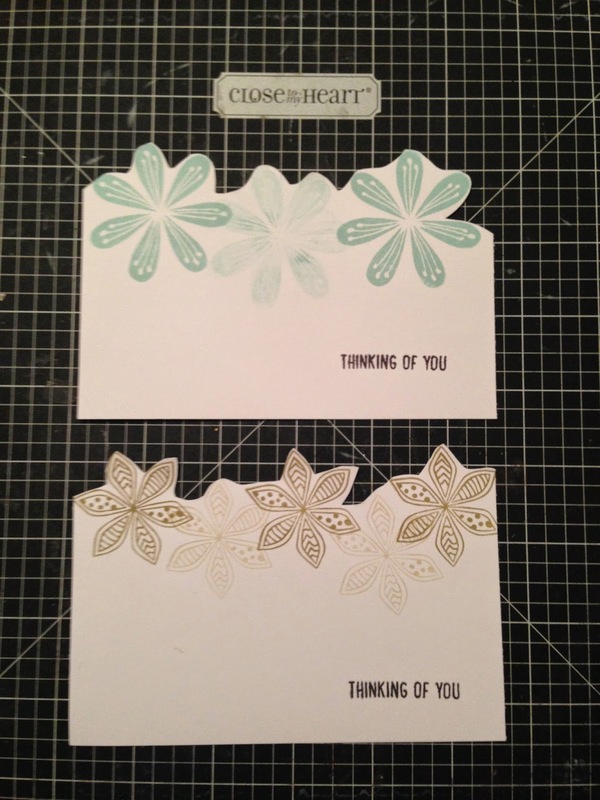 Place adhesive on the back of the White Daisy card stock and attach it to the base of the card. 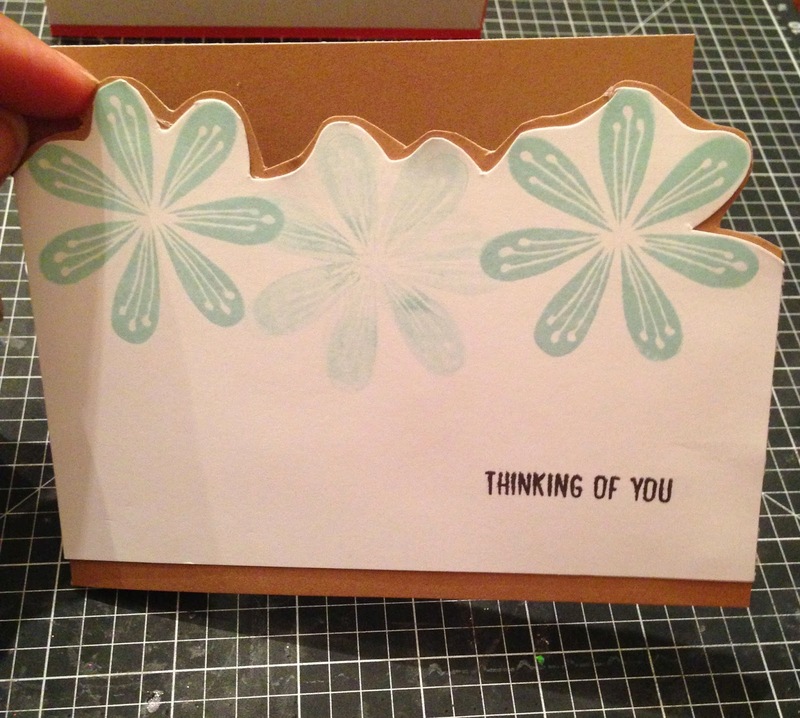 Follow the outline of the flowers and cut the card stock base removing the excess paper so the card looks like the above picture. I added the centers using 3-D foam tape and in some cases bitty sparkles. I really like how they came out. Simple and quick card to put together. These are so cute! Very simple but nice. I like the Desert Sand ink with the Sorbet cardstock.